While much of the country is gripped in the icy embrace of the polar vortex, the first rains of winter have already brought Malibu temporary relief from the blight of drought, and the first green flames of winter grass are kindling the barren earth. There is the tantalizing sense that Eden is somehow in reach here, no matter how long the exile from paradise. 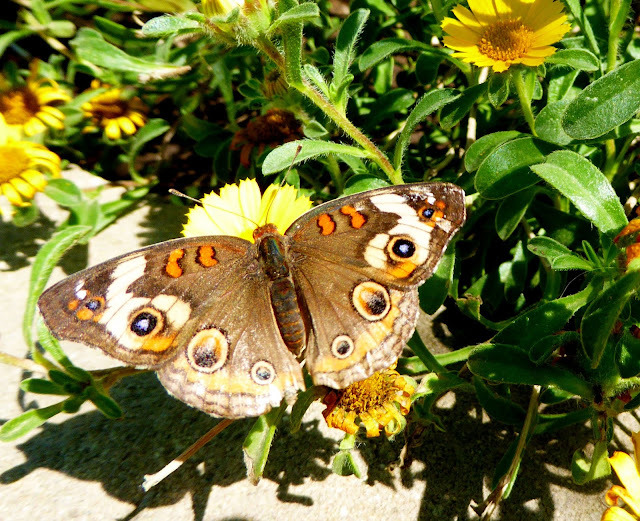 A buckeye butterfly rests on a strawflower in a Point Dume garden. All the bleak and dire news in the world can't diminish the hope that comes with the rain, and in our gardens we have a small but real opportunity for conservation and grassroots activism by providing safe earth-friendly habitat for wildlife, birds, butterflies, bees, and humans. Planting a butterfly garden now will ensure it is in bloom during peak butterfly season in the spring but will also help year-round pollinator species, including bees, make it through the winter. 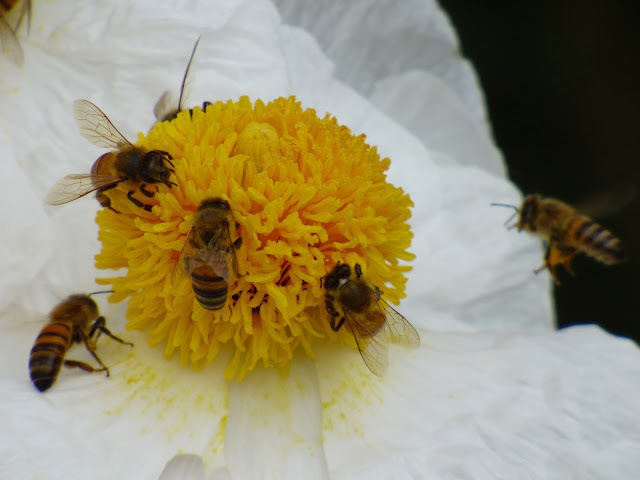 Bees gather on a matillija poppy flower. Re-wilding gardens with native necter-producing flowers may be key to the survival of many species, including wild bees, honeybees, and the rapidly vanishing monarch butterfly, which depends entirely on milkweed for survival. The Malibu Monarch Project offers info on butterfly plants for the garden, so does the Xerces Society. Many birds overwinter in Malibu. Providing a safe harbor with water and shelter for these seasonal residents is an easy and rewarding way to help conserve wildlife. Supplying clean, safe water for birds is one of the most rewarding ways to help backyard birds. 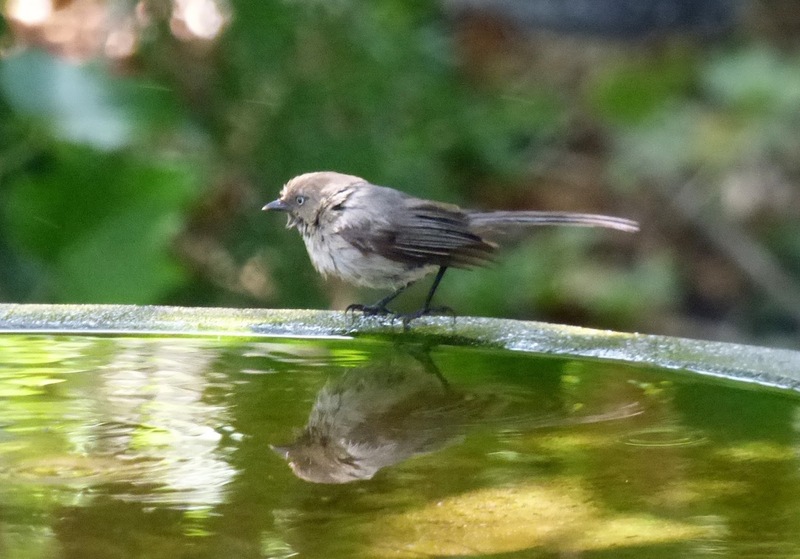 We have dozens of visitors to our birdbath, including this wrentit. Most birds prefer a wide, shallow basin. Here are some suggestions from the Cornell Bird Lab website. Some species are attracted to dripping water—easy to supply by poking a small hole in a bucket or even a plastic water bottle and suspending it over the bird bath. Here's some practical advice on how to do this from the San Francisco Gate. 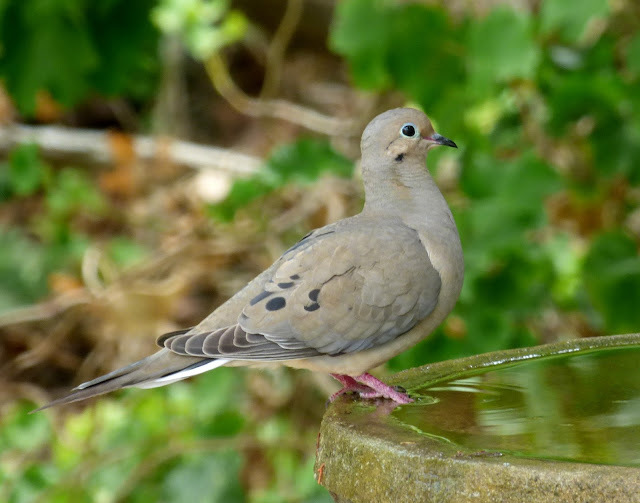 A large birdbath may attack bigger birds, like this mourning dove. We've had hawks stop by for a bath—water flies in all directions. A friend with a beach house regularly has sea gulls stop by to bathe. "We had to get a sturdier base," she told The Post. "They used to knock the old one over." All birds appreciate fresh, clean water. Regular draining and scrubbing can help prevent the spread of parasites or illness. Rocks or gravel can be used to raise the level of a deeper vessel, or to provide a "shallow end" for wildlife in a garden water feature. A "lizard ladder" is helpful for preventing accidental wildlife drownings. A piece of bamboo or just a fallen branch from a tree placed at an angle in the water is all that is needed. Early winter is the best time to plant wildflower seeds, bare root trees, cool weather veggies like lettuce, as well as many native garden plants. It's also the safest time to trim trees—a window of opportunity that is relatively small, since owls, hawks, and ever squirrels begin nesting in late winter. 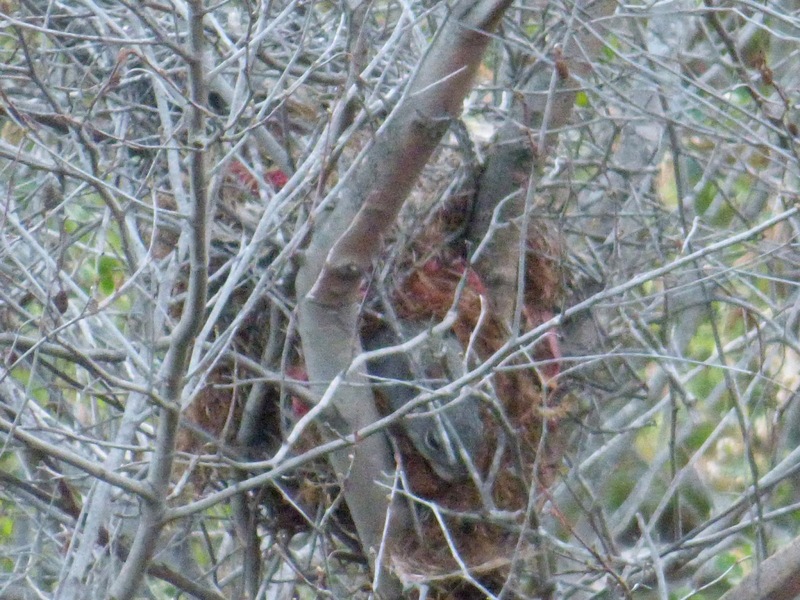 Winter is the safest time to trim trees in Malibu, but nesting season begins early here. I photographed this cozy tree-top nest and its gray squirrel architect last February. Here at the Malibu Post we encounter at least ten species of raptors throughout the year, including white-tailed kites and on one memorable occasion a peregrine falcon. 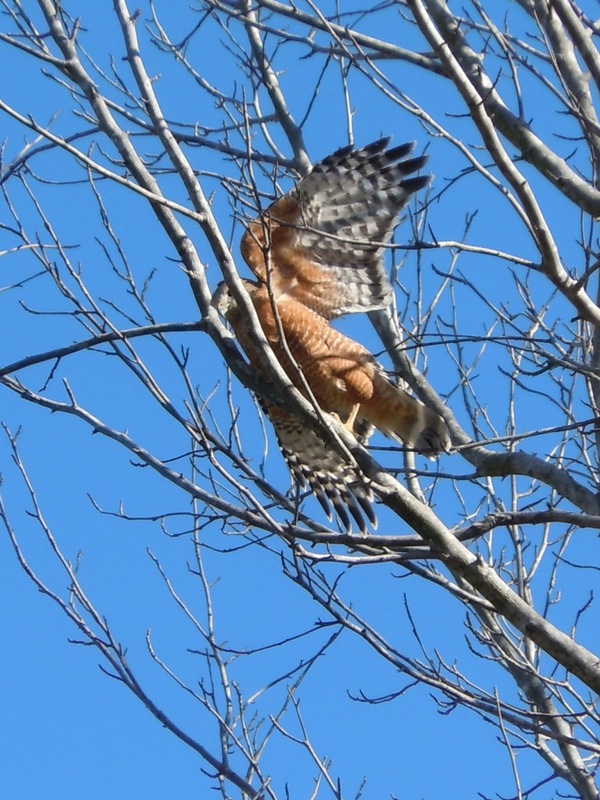 Red-tailed hawks like this one routinely nest in the neighborhood, so do red-shouldered hawks, American kestrels, barn owls, great horned owls, and western screech owls. Barn owls are happy to set up shop in outbuildings or even attics, and great horned owls are opportunists who recycle the old nests of other raptors or crows in any tree, even sometimes palm trees, but western screech owls depend on native oaks for shelter. Property owners with room for oaks in their gardens have the opportunity to create habitat for a wide range of species. 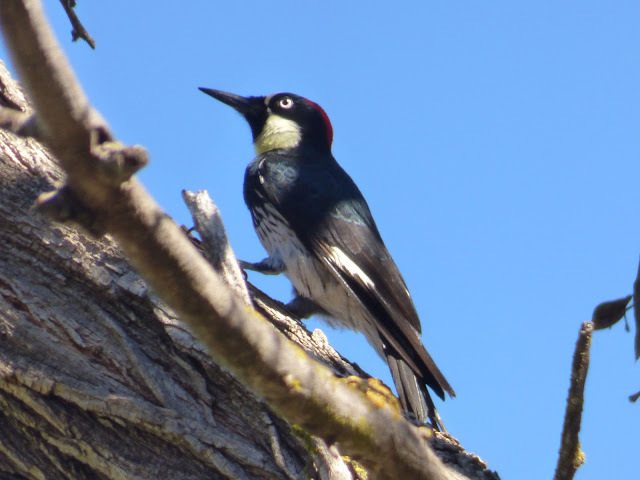 Property owners who have room to plant oaks can help encourage oak-dependent native species like this acorn woodpecker. Gardeners who would like to grow oaks can try their luck sprouting acorns. Native live oaks are easy to start this way, but all types of native oaks, even valley oaks, are easy to start in pots, as are California black walnuts and bay laurel. Just don't leave them in their pots too long. All three species depend on a deep taproot and won't thrive if that root doesn't have room to grow. It's also a good time to try rooting cuttings or growing root divisions from local native plants. 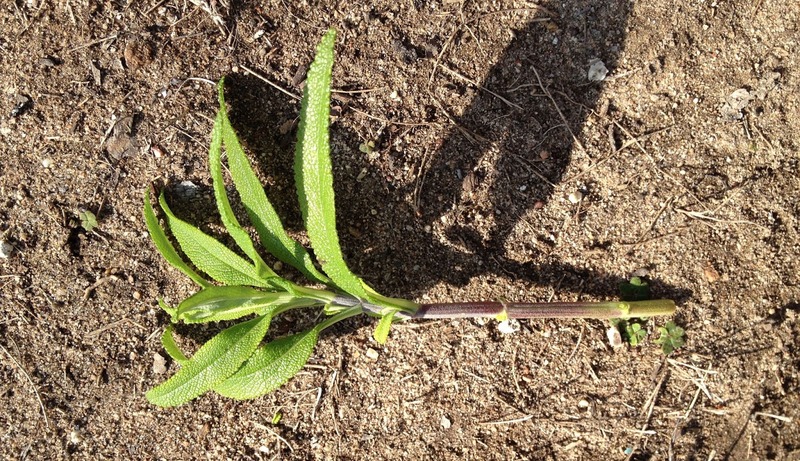 At the Malibu Post we've successfully rooted cuttings of mugwort, black and purple sage, buckwheat, ceanothus, penstemon, golden current, and toyon berry, and failed dismally at white sage; sagebrush; and Mexican elder. A black sage sprig ready for planting, with the bottom two rows of leaves carefully removed. Black sage is a great garden plant, with aromatic leaves and blue flowers that attract butterflies, bees, and hummingbirds. It's also an interesting substitute for garden sage in the kitchen—a bit mintier and more pungent than the ordinary market variety. The cutting is planted in ordinary potting mix and gets lots of water—it is important to make sure the soil never dries out. 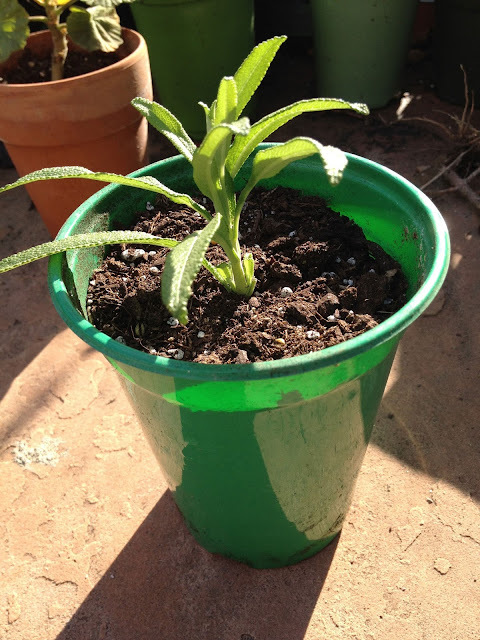 Once the cutting has taken root it can be transplanted into the ground, where if all goes well, it will grow into a plant like this. Hummingbird sage, with its pineapple-scented leaves and beautiful purple flowers, grows well from root cuttings. So do corm-based blue-eyed grass, California native irises, and even some of our native ferns, like polypody and bracken. Plant some wildflower seeds in an unused corner of the garden right now, and you may have a living tapestry there in the spring. This mix included poppies and owl clover. Coyote brush, California bush sunflower, and laurel sumac—three critically important coastal sage scrub plants—readily grow from seed. 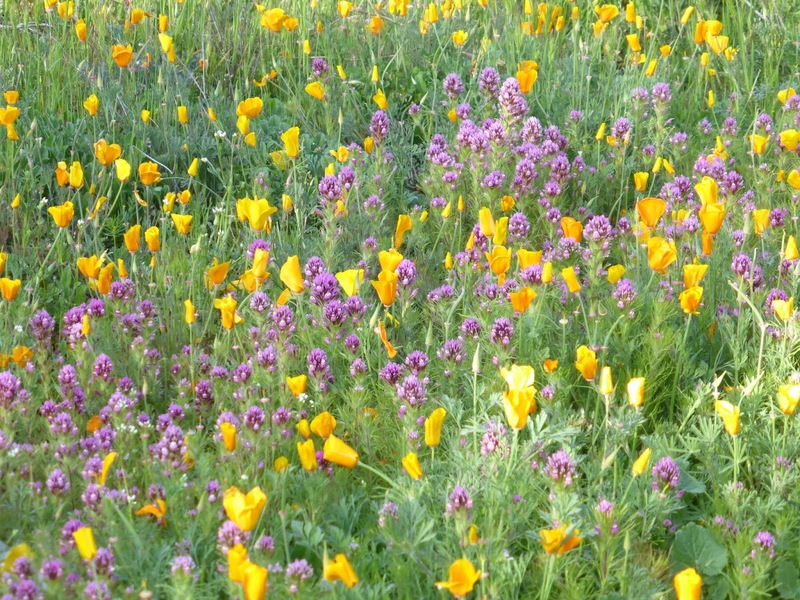 So do many of our most beautiful wildflowers, including poppies, lupin and clarkia. 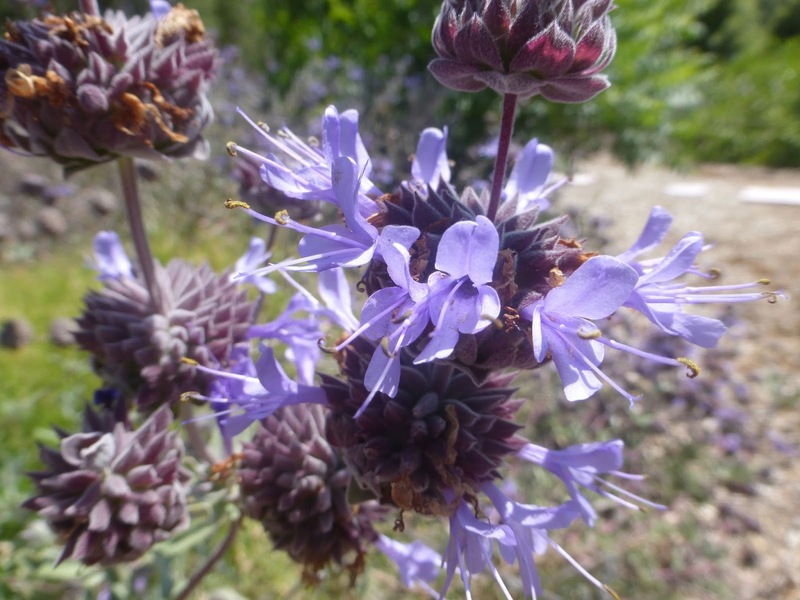 Many rare and hard to propagate native species can be found at the Theodore Payne Foundation in Sun Valley or at Bob Sussman's Matilija Nursery in Moorpark. It's worth a winter pilgrimage to both nurseries. Not all native plants are hard to find. 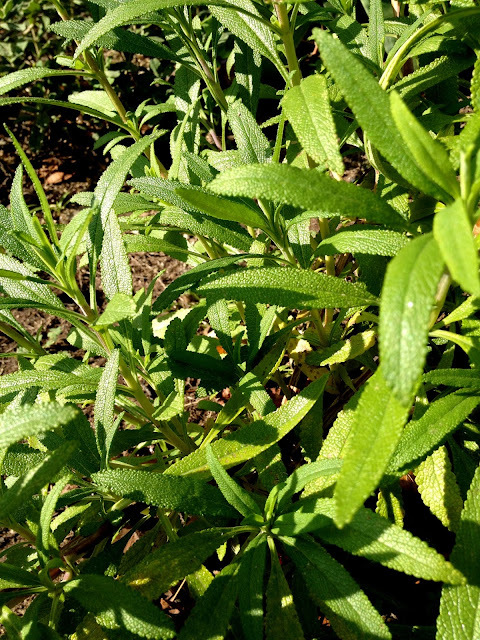 This Cleveland sage has become a garden favorite and is readily available. This plant came from Cosentino's Nursery here in Malibu. Local nurseries an often offer expert advice on the best plants for the area. In the rush to replace lawns with drought tolerant options many Malibu residents have inadvetantly turned their gardens into deserts. Grass is not ideal from a drought perspective but the right kind of grass and the right watering schedule can greatly reduce the amount of water a lawn requires. And unlike artificial grass or gravel, grass sequesters carbon, and if it isn't treated with pesticides provides habitat for a surprising number of invertebrates as well as the birds that feed on them. There's also been an alarming rush towards ripping out mature landscaping and replacing it was succulents, many of which are surprisingly toxic. You can read more here. Plants like pencil cactus, agave, and sego palm are popular because they are strikingly beautiful, but they can cause serious allergic reactions in humans and pets. A single sego palm seed can kill a large dog or a child. One of the most important contributions to the environment we can all make is eliminating toxic pesticides from our homes and gardens. Poison Free Malibu is working tirelessly to eliminate the deadliest wildlife-killing rodenticides—unfortunately found all over Malibu in bait boxes, but we can all help by excluding rodents, instead of poisoning them and making sure accidental food sources like garbage cans and pet food are cleaned up and secure. Eliminating herbicides like Roundup and toxic insecticides also helps every part of the local ecosystem, from soil organisms to bees and butterflies to humans and pets. Visit Poison Free Malibu's website for information and practical advice. 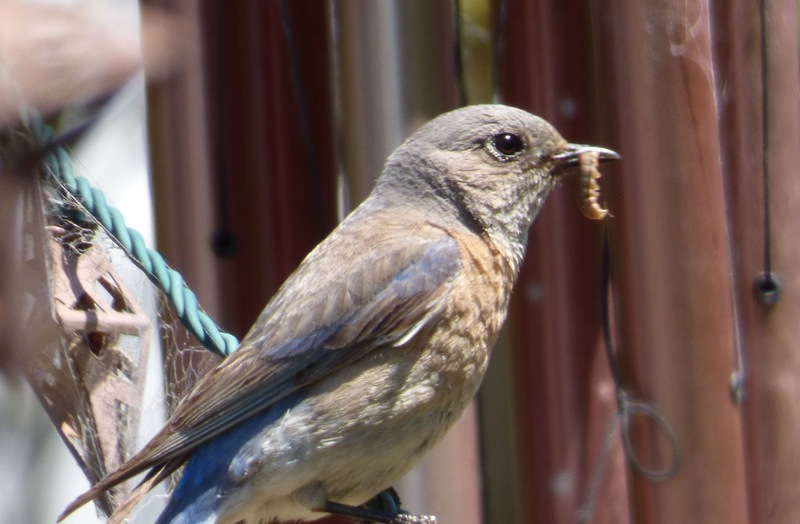 Birds depend on insects—especially caterpillars—as high-protein food for their young. If humans are willing to put up with a few creepy crawlers they can help hundreds of backyard species thrive. 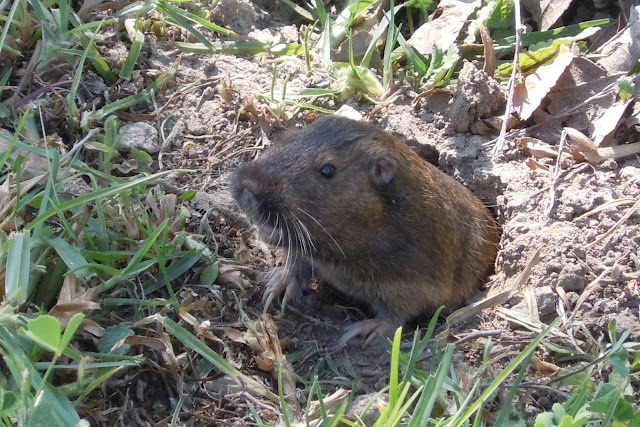 The pocket gopher is probably the number one reason Malibu homeowners resort to outdoor use of rodenticides. And because this small rodent is the bottom of the food chain, poisoning this wee beastie causes secondary poisoning to every species that depends on rodents for prey, including owls, hawks, bobcats, raccoons, weasels, badgers, coyotes, mountain lions and domestic cats and dogs. 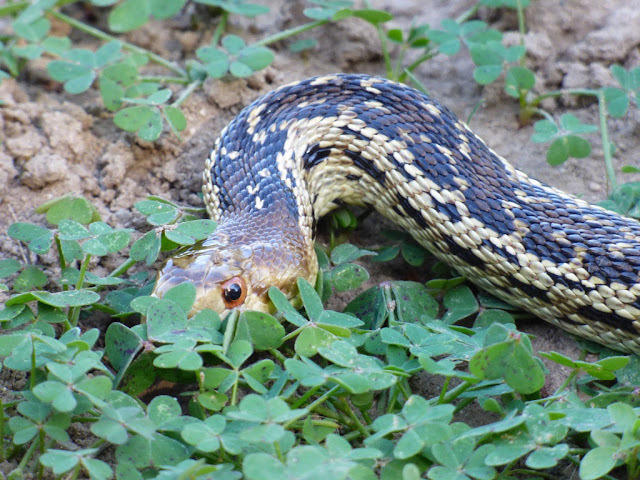 In a healthy ecosystem gophers are kept in check by all the species currently being poisoned by rodenticide overuse, like this benign gopher snake. Topanga recently became a National Wildlife Federation certified Wildlife Friendly Community. That's something Malibu could do, too. Leaving or creating "wild" areas, and providing water and bird and butterfly friendly plants help create islands of habitat is even in the urban areas. 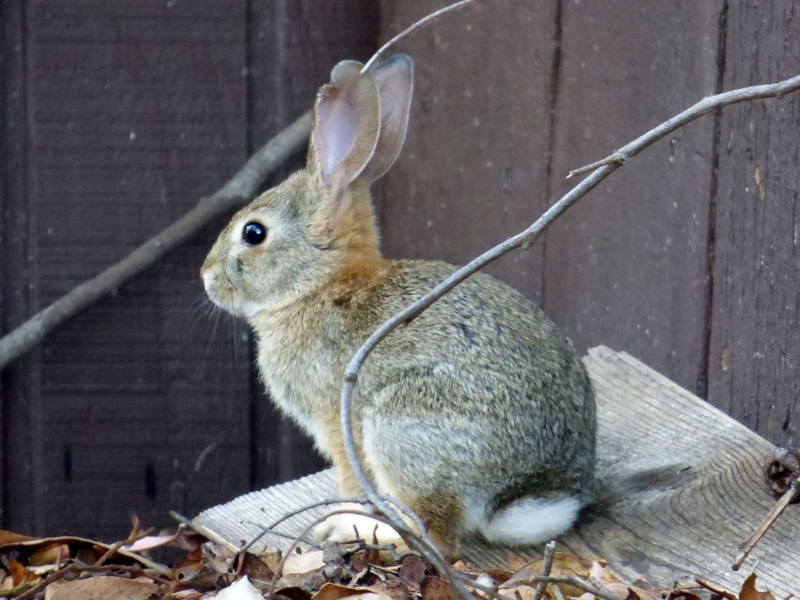 At the Malibu Post we have resident rabbits like this one, which lives in a brushy corner of the backyard, in addition to gray squirrels, dusky-footed wood rats, gophers, voles, and field mice. Wild visitors include a veracious gopher-eating short-tailed weasel, a family of bobcats, the entire east Point Dume coyote clan, and assorted raccoons, skunks, gray foxes and possums. We love all of our creatures, even the skunks, but realize that not everyone enjoys having backyard wildlife. Secure fencing that extends a couple of feet under ground is the best way to discourage visitors. Most species can fit through astonishingly small gaps in or under fencing. It's a good idea to check the fence line regularly, and make sure trees, bushes, or vines aren't creating a wildlife highway. One place no one wants wildlife is in the house. Sealing openings like the gaps around pipes and making sure all vents are screened with hardware cloth can help. 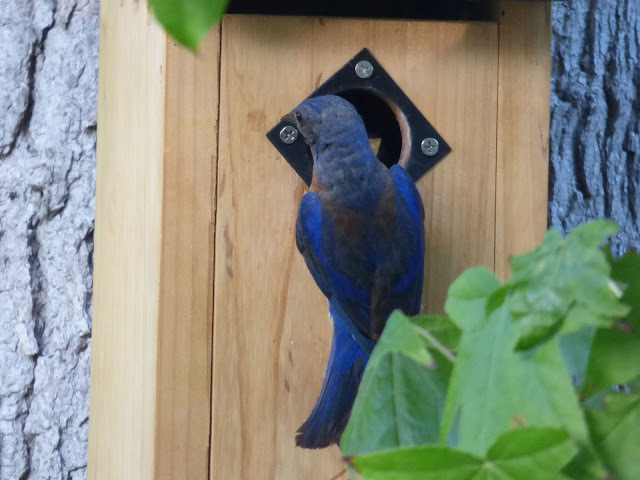 Building or buying a bird box is a great way to help native birds We got this blue bird box last Christmas and were rewarded with not one but two successful batches of bluebirds during spring and summer. Location is extremely important for a bird box success story. 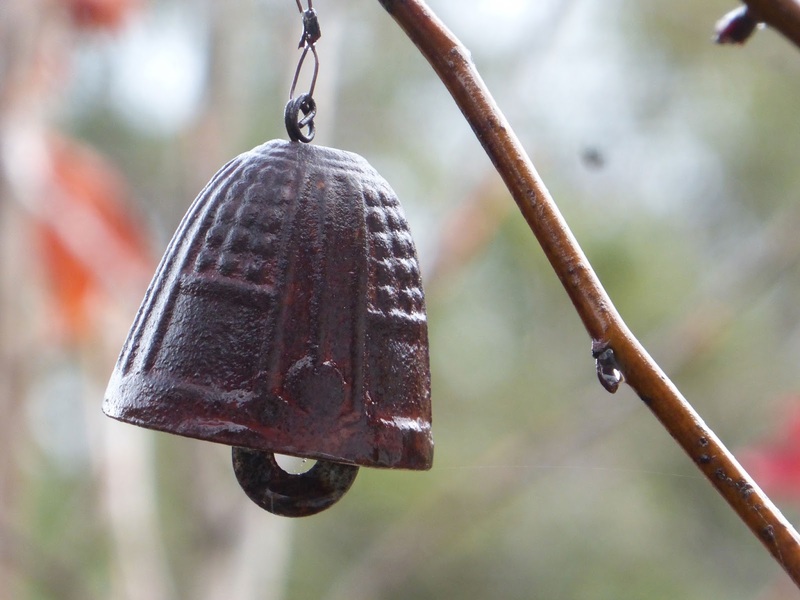 This one was placed about six feet up the trunk of a liquidamber tree that offered the parent birds shelter and secure perching and vantage points as well as afternoon shade to keep the nestlings from overheating. If you're sure you live in a location where rodenticides aren't being used a raptor box can be a great addition to the garden. 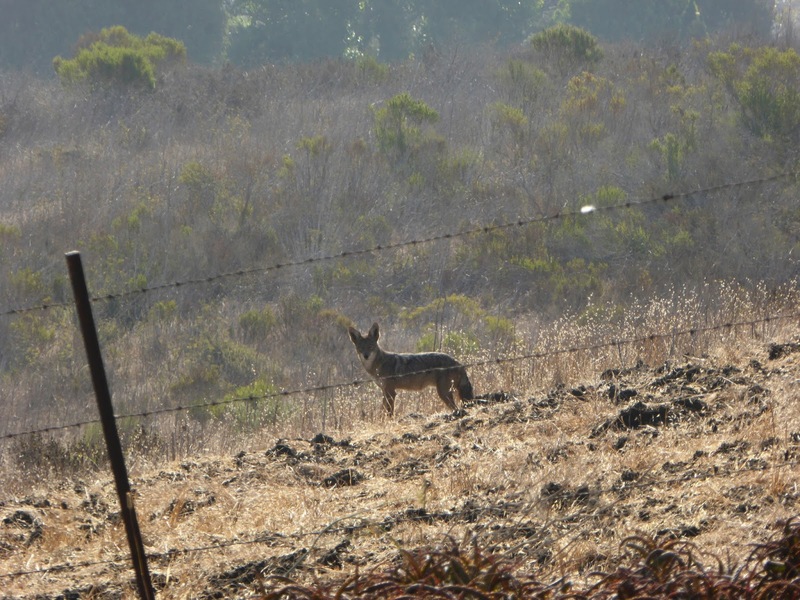 Learning to live with wildlife, even the species we aren't always comfortable with, like coyotes, is a huge piece of the local environmental equation. Coyotes primarily prey on rodents like ground squirrels, gophers and wood rats and help control them. Learn more about coyote proof fencing and other coexistence techniques at coyoteproject.org. The Mountain Lion Foundation offers advice on dealing with Malibu's biggest urban predator. 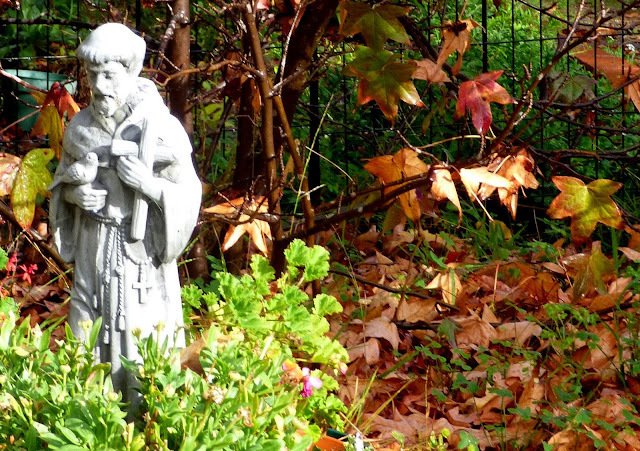 You don't need a garden to tend to nature. All of the non- profits mentioned here depend on contributions. At Poison Free Malibu those donations help pay for ordinary but essential needs like printing and mailing. At Project Coyote they help fund co-existance workshops and education outreach. Donations to the National Wildlife Federation can be earmarked to help save Malibu's mountain lions and build the Liberty Canyon Wildlife Overpass. 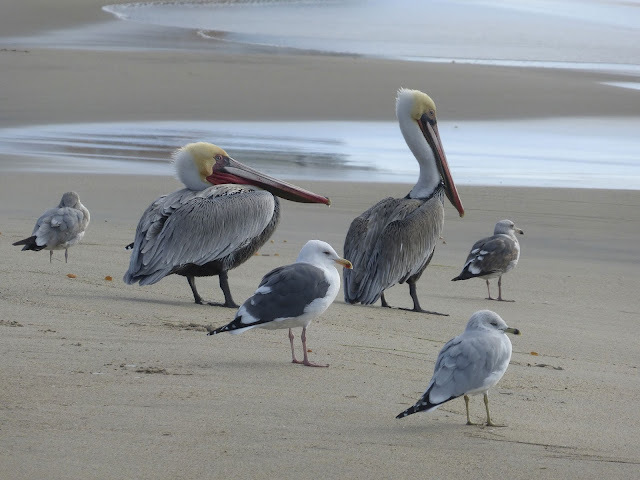 All Malibu residents are stewards of our natural resources, and we are blessed to have a national park as our backyard and the ocean at our door. Every canyon, every creek, every road leads to the sea. 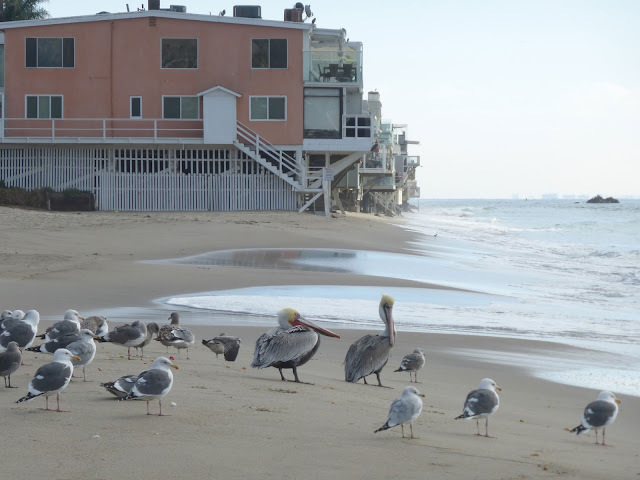 Malibu has a tradition of valuing those resources and our newly installed city council has vowed to protect them, but it's up to all of us to work together towards that goal. The fact that we still do have so much wildlife is a testament to our passionate conservation activists, who will continue to fight for the environment no matter what the odds. There is still time to plant the seeds of tomorrow. For now, let's just enjoy the coming of the rain and the season of peace and joy and hope. 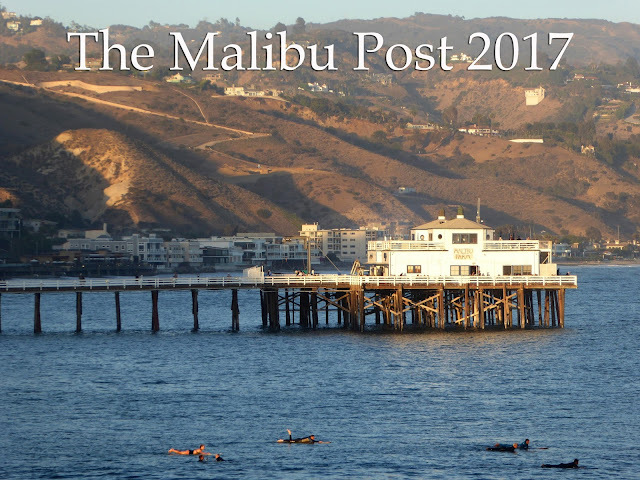 The third annual Malibu Post calendar is now available for 2017. 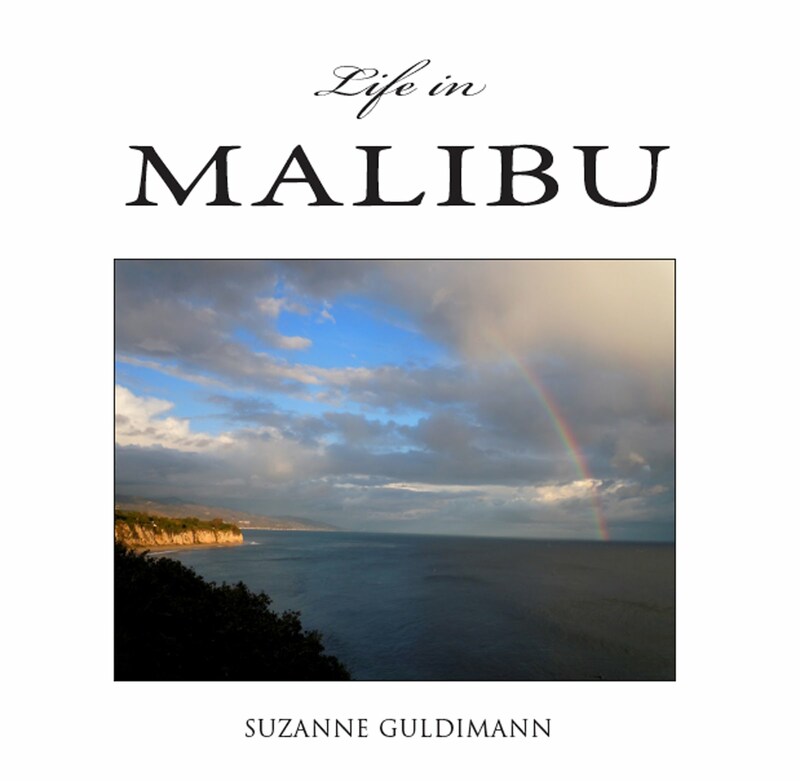 The calendars are 8.5 x 11 and feature 12 of our favorite Malibu Post photos from 2016 printed on heavy photo stock and spiral bound, for $14.95 plus sales tax. We will gladly accept cash or checks. Shipping is $4. Free delivery to your door in the 90265 area code. Orders can be placed using the contact form in the right column.